How do you top off a great day in Cape Cod? 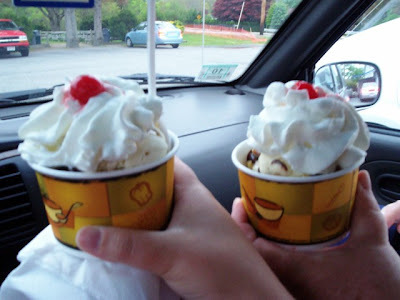 By visiting one of the great ice creameries located on Route 6. On a previous trip back from the Cape, Mom and I spotted Oxford Creamery, a popular Mattapoisett summertime hangout. "We have to go back and try that," said Mom, who has spotted ice cream places along every road we've been on. 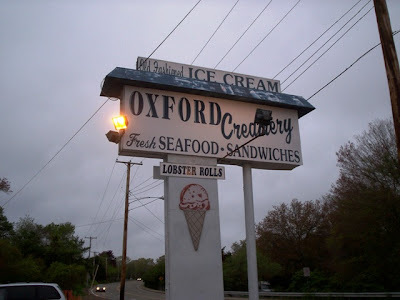 I agreed, and when we drove into Mattapoisett, Oxford Creamery was the only thing on my mind (other than seeing that cool giant seahorse sign). We pulled into the parking area at 7 p.m.
Oh well. I'm not going to complain about a dollar. I'll just blog about it, ha, ha! The service was quick and efficient. When they called my number, I saw one of the cherries from the sundaes take a flying leap off of the whipped cream. A server at the pickup window noticed this and made sure to get me another. There were several customers standing at both the pickup and the ordering windows. 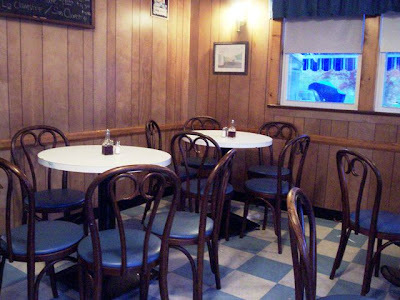 As I was looking around the small space, I notice some framed newspaper articles raving about how good the food was at Oxford Creamery. I couldn't wait to try my sundae! Now, Oxford Creamery doesn't make it's own ice cream. 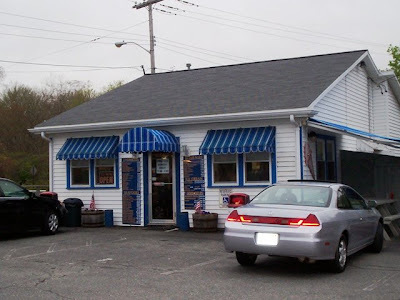 They use Richardson's, which delivers to several local New England creameries including Oxford's other location - The Bucket at Apponagansett Park in Dartmouth. Before digging in to our sundaes, both Mom and I noticed what a nice size portion the small was. As for the taste, the vanilla ice cream and hot fudge were so thick and flavorful that Mom thought both were homemade, and was surprised to find out that they weren't. 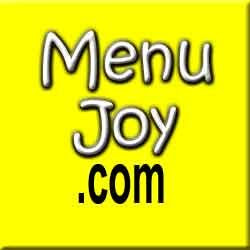 It really brought back memories of an old fashioned sundae from an ice cream parlor. They were both absolutely delicious. The size was perfect, and we ate them with glee. New England Bites loves our ice cream and we'll definitely be back to get more, and maybe have lunch at Oxford Creamery. I'm sure it will be great since I saw many happy faces leaving the parking lot, including our own. Oxford Creamery is open from 11 a.m. to 8 p.m. Wednesday through Sunday. They are closed on Monday and Tuesday.